I've taken the rest of the week off of work in a fit of "oh crap I will be on the road for HOW long? and what can I finish if I focus on nothing but sewing for a week?" We're gonna need a montage. 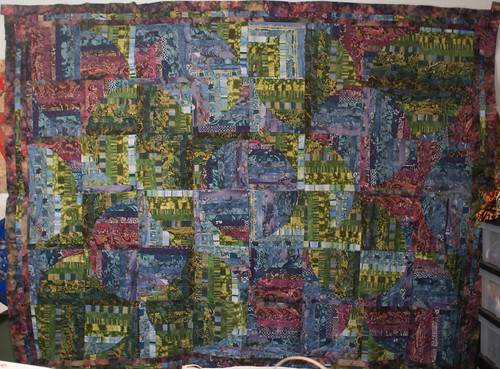 I realize that a movie about quilting can only go in either the "Beautiful Mind" (crazed genius throws fabric about long enough that amazing things happen) vein or the "Waiting For Godot" vein (audience sits around, waiting for the explosions and car chases that never happen) vein. Read more about Gonna need a montage.